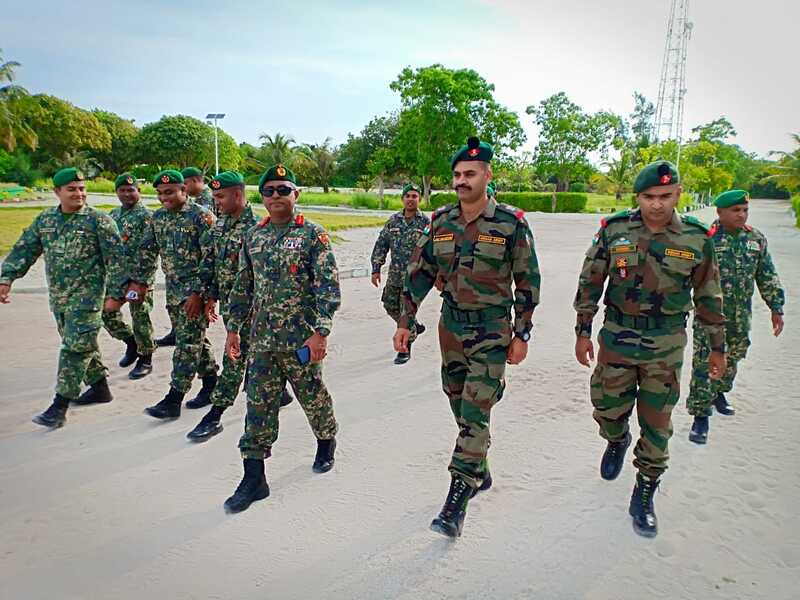 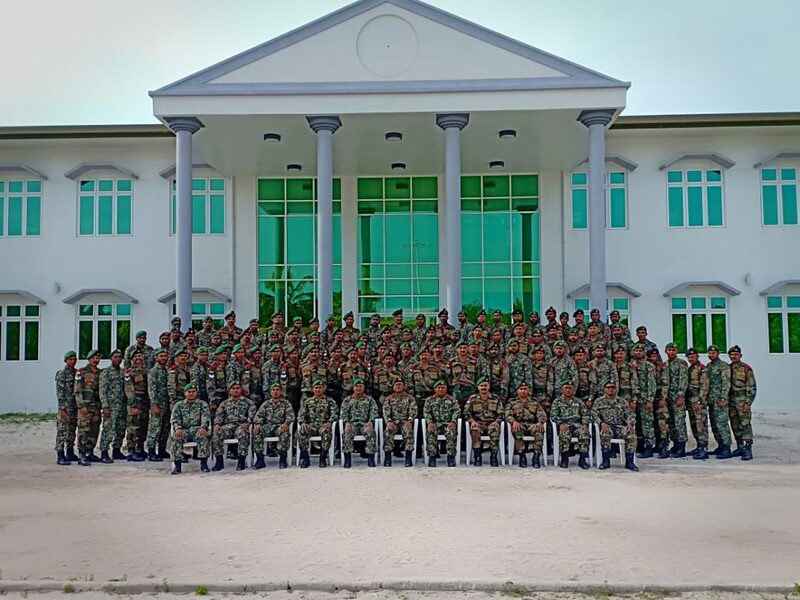 A fourteen day joint training exercise of the Indian Army and the Maldives National Defense Force commenced today with Opening ceremony at composite training center, Maafilafushi in Maldives. 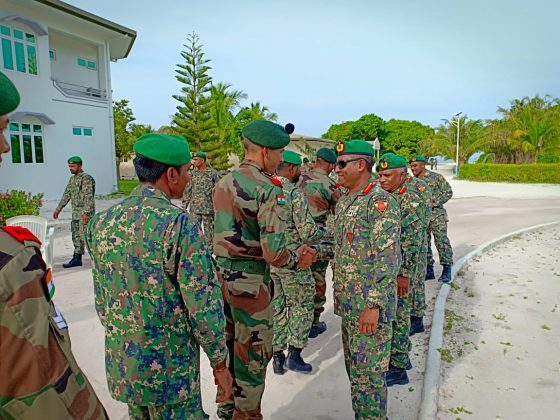 The training contingents comprised of a platoon strength from the Madras Regiment from Konark Corps and a similar strength of the Maldivian National Defense Force. 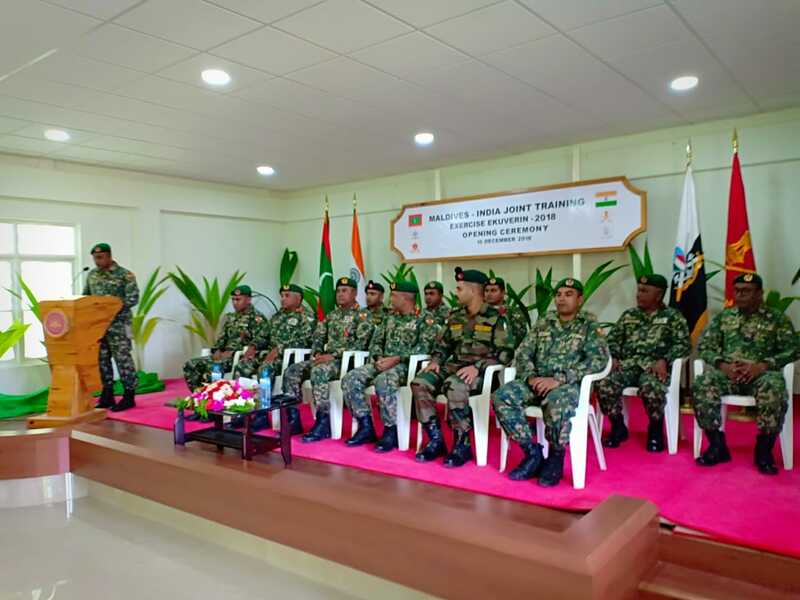 Senior military observers and dignitaries of both the countries will be witnessing the validation phase of the exercise. Exercise Ekuverin-2108 will be the ninth edition of joint exercise and is in continuation of a series of joint exercise between the Indian Army and Maldivian National Defense force. The previous edition of the exercise was held at Belagani, India in 2017. 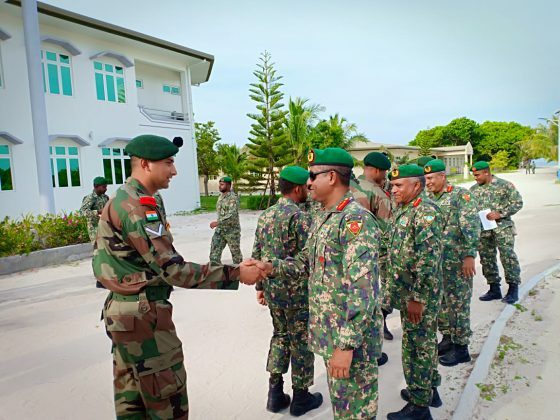 The aim of the joint exercise is to acquaint both forces with each other’s operating procedures in the backdrop of amphibious and counter insurgency/counter terrorism environment as also to enhance the existing military relationship between the Indian Army and the Maldivian National Defence Force. The Indian Army contingent landed at Male International Airport on 14 December 2018 on a C-130 military aircraft of the Indian Air Force. The exercise aims to enhance the interoperability between the Indian Army and Maldivian National Defense Forces in conducting joint operations and cement bonds of friendship between the two countries.